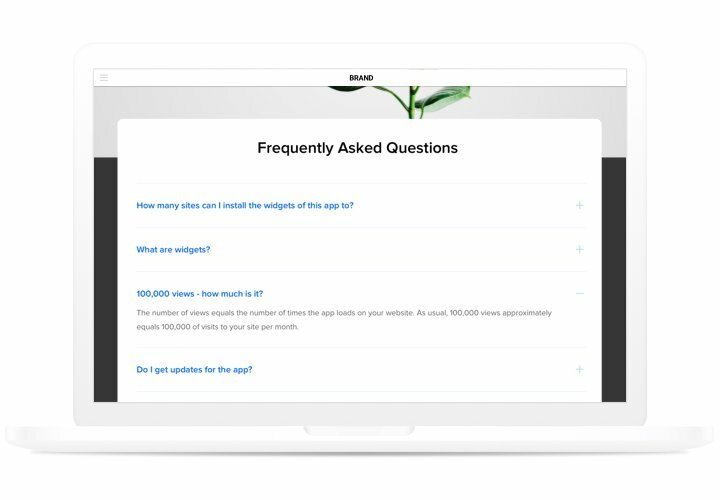 Elfsight FAQ is a simple, easy to apply and adjust instrument to generate and show a list of the most popular questions with answers on your personal website. 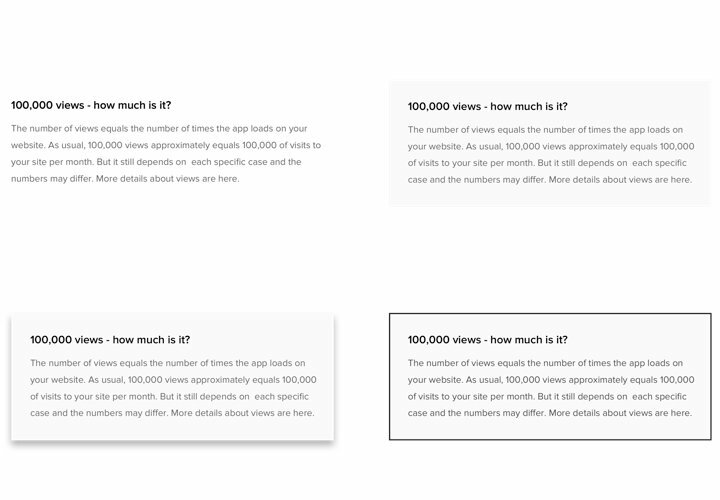 An informative extension with fast navigation gives you a chance to show complete info about your business, focus viewers’ attention on positive features of your products and exclude all possible fears and suspicions, which could stand in the way to buying decision. 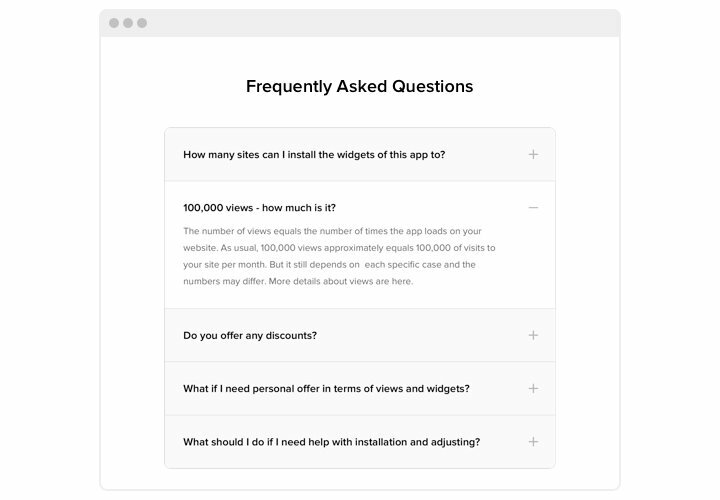 Answer the appearing questions of your users instantly and boost conversion on the website! Lead clients to making a purchase with well-composed texts. Place answers to especially important customers’ questions before they arise, and convince them to purchase from your site. Ensure the right understanding of your product or service by clients. Combat the most frequent misconceptions and doubts concerning your business with the help of clear and complete answers. Decrease the time and price of customer support. 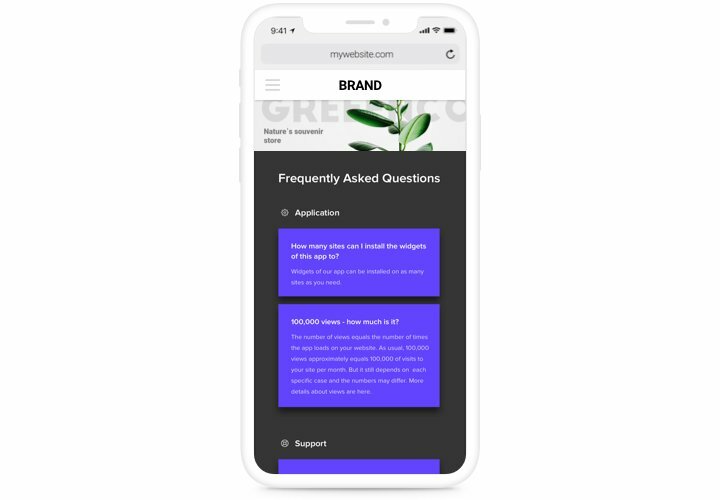 Publish answers to frequently asked questions concerning your products, services or brand and decrease the intense loading of your customer support team. 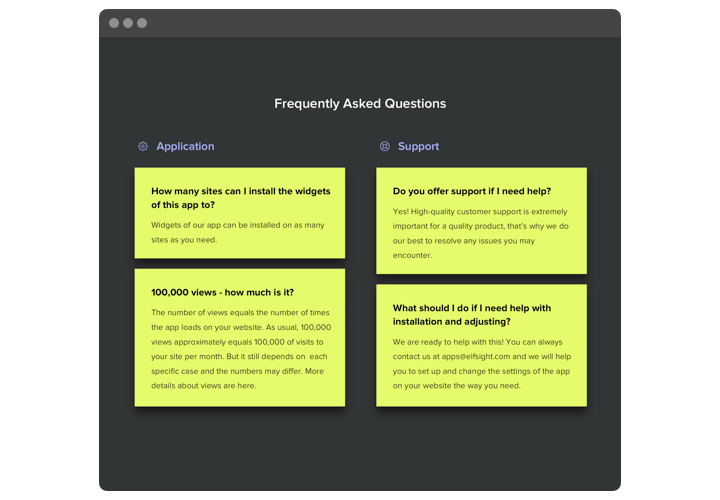 The most powerful characteristics of our extension, which turn it into the fastest extension to install FAQ on OpenCart website. Generate a extension using our concise instruction. You don’t need experience in web programming or help from a professional, since it’s all intuitive. Average setup time is just 70 seconds. Acquire the extension and add it on the website. Select the needed version of the widget and get its file. After that, install it to your site via «Extension Installer» in the control panel. 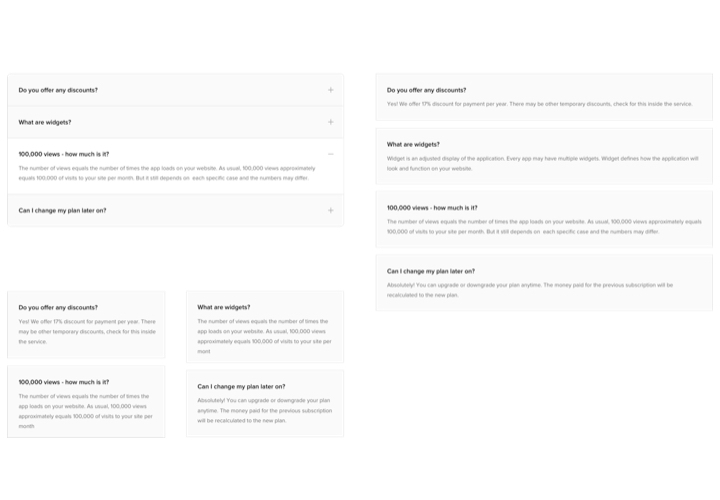 In «Extensions» section, set sorting by module and open FAQ. After that, choose the preferred settings of the interface and functions. Demonstrate the extension on the site. Choose the needed page, insert the extension code there and publish all the changes. Go to your site, to view the results! Experiencing difficulties while applying the instruction? Get in touch with Elfsight support team or read the full version of the manual «How to add FAQ to OpenCart» and finish the setup on your own. Make OpenCart FAQ extension in only 2 minutes!